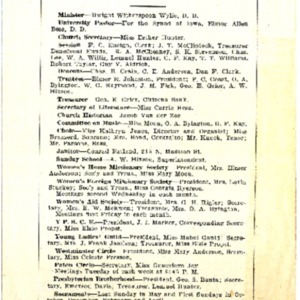 Letter from W.D. 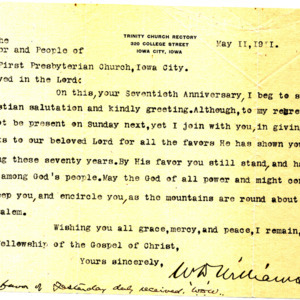 Williams, Rector of Trinity Church in Iowa City, to the First Presbyterian Church on occasion of their 70th anniversary. 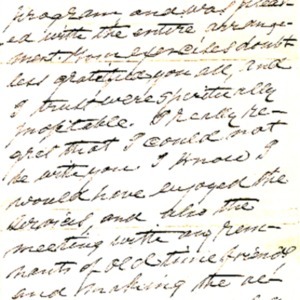 A letter written by Rev. Oliver O. McClean (to the then-current pastor Rev. Edward Barrett?) 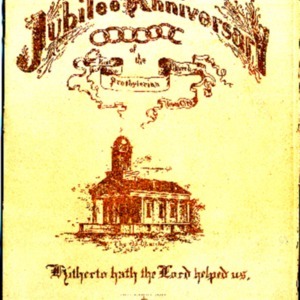 sending his regrets that he could not attend the First Presbyterian Church’s 50th anniversary Jubilee. The letter was written in Lewistown, Pennsylvania.